Analytics mavens might point to Spieth’s underrated iron play, by his ranking first on the PGA Tour in strokes gained/approach to the green and second in GIR. There’s Michael Greller, who not only said the right things on two different crucial occasions to Spieth on Sunday, but triangulated the right yardage from his player’s position in the boondocks on the 13th hole. And of course, there’s the putter, which will become legendary for Spieth’s 11th win. Golf historian and statistician Dr. Lou Riccio maintains Spieth’s birdie-eagle-birdie-birdie run from Nos. 14-17 is only surpassed by Jerry Barber making putts of 20, 40 and 60 feet on the last three holes of the 1961 PGA Championship to get into a playoff and, ultimately, win. But that bogey putt, it should not be forgotten, was set up by an artful pitch and run with a lob wedge that had to land on a precise spot, then almost die at the top of a slope before trickling down near the hole. It was every bit as creative and good as the famously foreshadowing pitch-and-run that Seve Ballesteros fashioned on the 18th at Birkdale in 1976 when he was runner-up to Miller, and a lot more important. Jordan Spieth chips on the 13th hole during the final round of the 146th Open Championship at Royal Birkdale. This would set up a bogey on a crazy hole that would then set up his back-nine run to win the claret jug. Also underrated in Spieth’s closing stretch was his third on the par-5 17th—a fizzing punch from 56 yards that skipped up to a pin set on a narrow shelf before spinning and stopping seven feet above the cup. After Kuchar made a 15-footer for birdie, Spieth made his to keep a two-stroke cushion, allowing him to walk to the 18th tee—where he faced a left to right wind to a narrow fairway—with a more relaxed mind. In the afterglow of Birkdale, Spieth’s short game should not only be celebrated but become a reference point to shape and improve the top of the game going forward. It’s hard to prove statistically—although I would argue strokes gained/around the green is the least precise of the “strokes gained” stats, because the difficulty of individual short shots can’t currently be measured for difficultly—but Spieth is the best in golf on such shots, and without question the best among the top players. Sure, Spieth has hit bad short-game shots when it’s mattered in a major. His chunk from the drop zone on the 12th at Augusta National in 2016 led to a killing quadruple bogey, and with a two-stroke lead in the U.S. Open on the 71st hole at Chambers Bay in 2015, he fluffed a shot from greenside rough into a bunker and made double bogey. But in general, he is pure money with a wedge in his hand, with hole-outs from the sand at climatic moments in winning the John Deere in 2013 and at Hartford this year. And the best shot Spieth hit in winning the 2015 Masters was a ridiculously risky flop from a downhill lie to a short pin to save par on the 18th hole on Saturday. 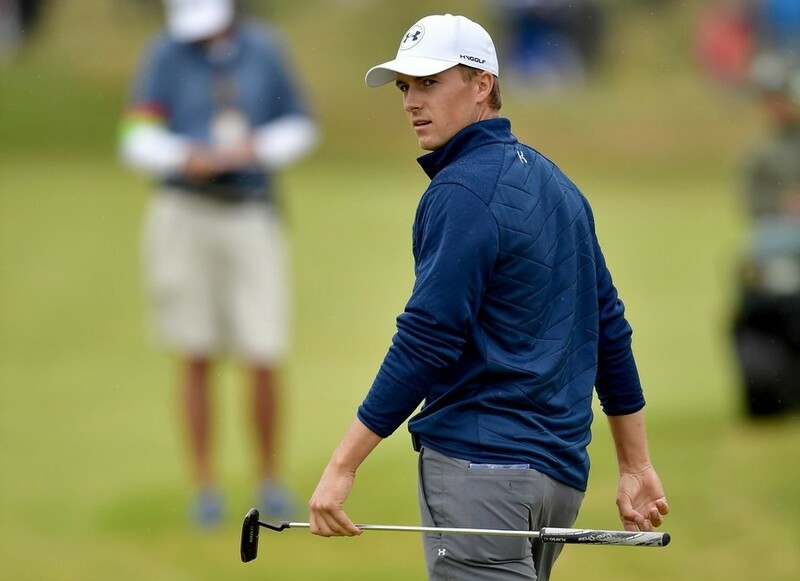 Spieth does it with sound method; exceptional hand-eye coordination; a love for the variety, imagination and challenge of the short shots; and the nerve to take on the highest degree of difficultly under pressure. Finally, it’s the awareness that such shots are vital numerically—but even more psychologically—to saving rounds and ultimately, victories. There will always be debate about the best short game in history. The mythical title usually goes to Ballesteros, who developed the magic in his hands on the sands of Pedrena off the Bay of Biscay. But it means that other virtuosos such as Raymond Floyd, Hubert Green and Luke Donald get short shrift. But with three majors at a just-turned 24, Spieth can be projected to surpass even Seve. So in the afterglow of Birkdale, Spieth’s short game should not only be celebrated but become a reference point to shape and improve the top of the game going forward. Why? Because too many of today’s top power players simply aren’t very good around the green. The easy answer to why no top player seems to win that often in the post-Tiger era? Because other than Spieth, among the top 20 in the World Ranking, arguably no one has the kind of world-class short game that can consistently save the day when the long game is off, as it often is for even the very best. It’s not that Rory McIlroy, Dustin Johnson, Hideki Matsuyama, Jason Day, Brooks Koepka and Justin Thomas (to name a few) are bad around the green. But none of them are great. The fact is, we are currently in a historical dearth when it comes to tour pros who combine power and touch, the most time-honored formula to be the best player in the world. Think about the very best of last 40 years, the players who either won the most majors or consistently contended for them. Other than Nick Faldo and Nick Price (who made up for lack of distance with superb iron games), the very best were not only long, they had supreme short games. The sequence of Tom Watson, Ballesteros, Greg Norman. Fred Couples, Ernie Els, Phil Mickelson and Tiger Woods portrays a style that was similarly in kind and differed only in degree. For whatever reason, perhaps the echo chamber that keeps repeating that power is indispensable, perhaps a collective lack of dedication to putting hours in around the chipping green, few of today’s top players are known for their short games. And it’s instructive that it was working on his wedges that was the most important factor in Dustin Johnson rising to being the current No. 1. Jack Nicklaus, of all people, underestimated the short game. As a junior player, his teacher, Jack Grout, emphasized learning the full swing. “I didn’t practice my short game, because I didn’t know what to practice,” Nicklaus said in 2010. “I never learned anything.” He was so dominant early with his ball striking that he told himself “I didn’t need one.” But when Nicklaus encountered serious chipping problems in 1979, he sought help from old rival Phil Rodgers and dramatically improved his wedge play, leading to his winning two majors in 1980. Looking back, Nicklaus wishes he’d tried to master the short game decades before. “It was foolish of me to believe it was good enough,” he said. There’s evidence McIlroy will feel the same way if he doesn’t devote more focus to his short game. 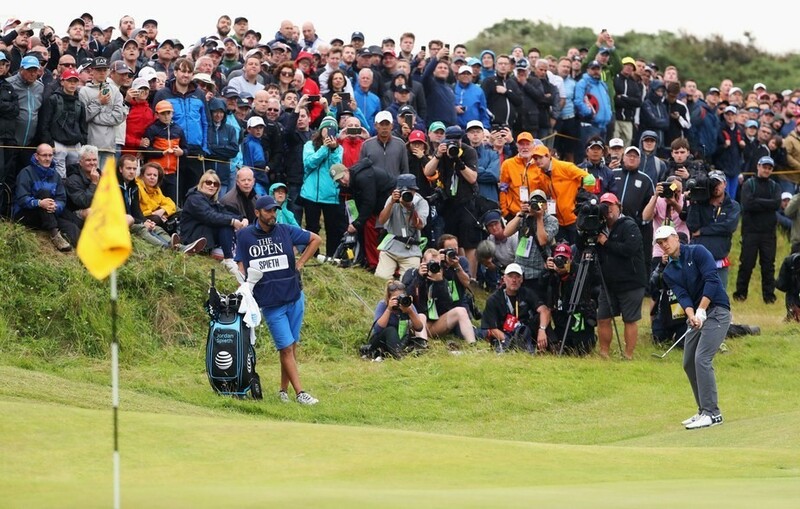 Too often wasting strokes and eroding patience with “soft” bogeys from around the green on what should be fairly routine up and downs, McIlroy’s weakness was conspicuous at Birkdale. Entering the weekend five behind Spieth, McIlroy came storming out for the third round with three birdies in his first five holes. But on the par-3 sixth hole, he pulled a short iron, leaving him with a downhill lie in high grass to an uphill pin about 30 feet away. It wasn’t an easy shot, but one that it was easy to envision Spieth getting within five feet. But rather than give the ball a firm bump into the hill McIlroy decelerated and fluffed the ball less than halfway to the hole, making a momentum-stopping bogey. Worse, on the next hole, after leaving a short approach 10 yards short of the green, McIlroy mishit a straightforward pitch-and-run, the ball skidding 20 feet past the hole. Ultimately, McIlroy had a strong Sunday to finish T-4, but in terms of the small margins that determine who wins major championships, his short game had unnecessarily left him too much to do. Will Spieth’s example swing the pendulum back, so that the power players will start to focus on their touch? It should be apparent that especially in majors, where Spieth has now led 15 rounds out of the 70 he’s played, that he is winning more because he is better at touch than his peers are at power. And maybe that, when all is said and done, in the biggest events, touch is more important than power. At least in the recent history of the game, there has never been a better example of a player doing just that than Spieth on the back nine at Birkdale. And his most consistent creator? The short game.